Since its founding in 1983, Metrokane has become a leading marketer and distributor of wine accessories and barware, for which they later introduced the Rabbit brand to cater toward. Since its inception, Rabbit products have carved out a name for themselves, becoming quite the asset to any wine lover’s tool belt. 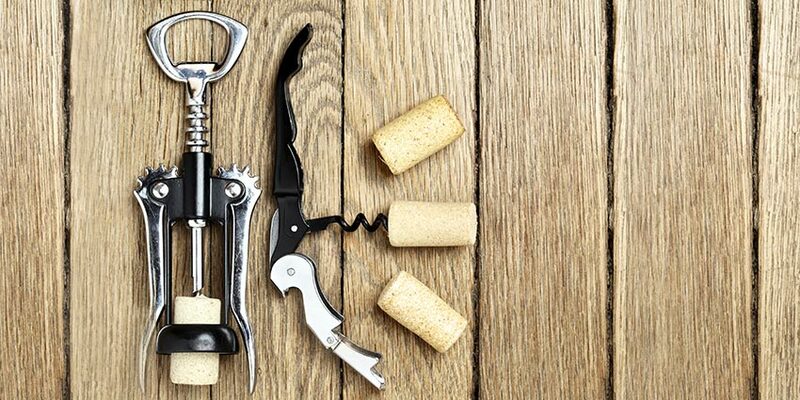 Products include corkscrews, decanters, aerators, wine preservers, cocktail shakers, juicers and other bar tools — just about anything that can make your wine drinking experience more pleasant. Rabbit branded products, including the renowned Original Rabbit corkscrew, are available nationally in department stores, wine and liquor stores, big box retailers, discount chains as well as online, making it easy for you to pick up your own Rabbit wine product in no time at all. Rabbit produces several varieties of wine openers ranging from simple manual designs through the Original Rabbit to their line of electric products. The brand is known for a few key characteristics, which include speed, working on all sizes of bottles and a quick and automatic release of the cork. These features, coupled with rave customer reviews and an attractive warranty period, make Rabbit stand out as a leader in the world of wine accessories. Rabbit wine openers are available in a variety of different styles. You might have heard of the Original Rabbit and the Vertical Rabbit. 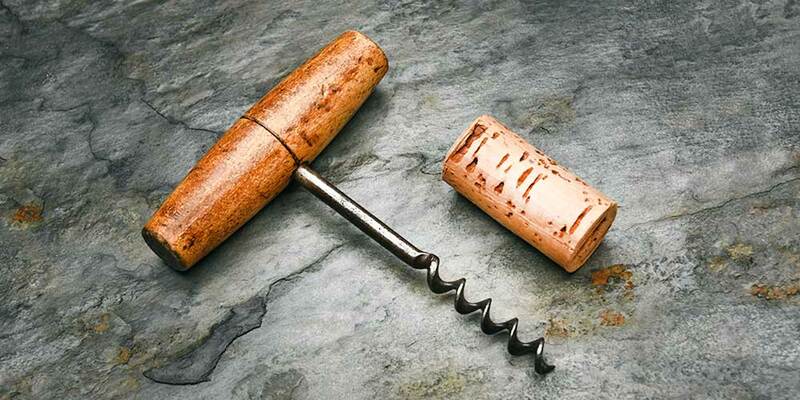 These famous tools can remove a cork in just 3 seconds! These Rabbit corkscrews come with a 10 year warranty and include a foil cutter and an extra spiral. Rabbit also makes electric corkscrews including the Automatic Electric Corkscrew and the Rabbit Electra Corkscrew. Both designs remove corks at the touch of a button, can open 30 or more bottles of wine with a single charge and can remove both synthetic and natural corks. When choosing a wine opener, you must take into account your own preferences and priorities. There are several details you might want to think about when making the purchase. Most people count ease-of-use as a huge factor in whether or not they choose a certain product. Next, you might also want to think about the way the opener looks and your ability to store the product when you’re not using it. 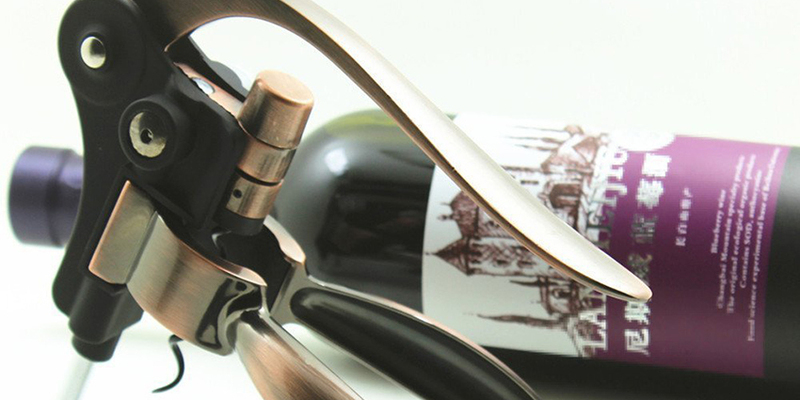 Do you want your opener to make a statement when you serve wine? Do you need your wine opener to be portable or is it something you will keep at home? Do you need the wine opener to work on a variety of corks ranging from old, decaying corks to modern synthetic ones? Are you willing to spend a little more for a durable wine opener that will last you for a long time? Do you require an electric opener or are you okay using a manual opener? This leads to the final point: be sure to only purchase a Rabbit wine opener from a reputable merchant and check the branding. There are many rabbit shaped wine opener styles available, but only Rabbit branded openers can guarantee a three second opening time, a 10 year warranty and the quality that has become associated with the brand. There is quite a large variety of types of wine openers, and Rabbit offers most of them. Whether you are looking for a manual or electric wine opener, you can find one that meets your needs from Rabbit. The Original Rabbit: This design pulls a cork in three seconds and then automatically releases the cork. It works with any size of wine bottle. It is made of hardened metal and the device has been tested for 20,000 cork pulls by an independent laboratory, ensuring the quality and efficiency of this type of opener. The Vertical Rabbit: Like the Original, this device pulls a cork in three seconds and automatically ejects the cork. The opener stands up on the wine bottle and opens vertically. The Vertical Rabbit has a die-cast metal lever and carries a 10-year warranty. The VIP Rabbit: This model is made of die-cast metal and finished with polished chrome. It comes in a leather and chrome presentation case and a chrome plaque on the case can be engraved to commemorate special occasions. It is the top-of-the-line model and comes with a 10-year warranty. The VIP Vertical Rabbit: This opener is chrome plated with a faux leather grip pad. Like the other Rabbit wine openers, it pulls a cork in three seconds, automatically releases the cork, has all metal gears, and should work on all bottle sizes and cork types. 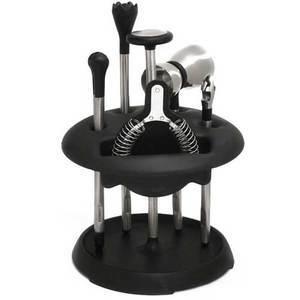 Metrokane manufactures several other Rabbit branded manual options including the Ah-So, waiter’s friend varieties, faucet corkscrews and two-steps. Automatic Electric Corkscrew: This device takes all of the work out of opening a bottle of wine. You place it on top of your bottle and the corkscrew automatically removes and ejects the cork. This works on all cork types and bottle sizes. 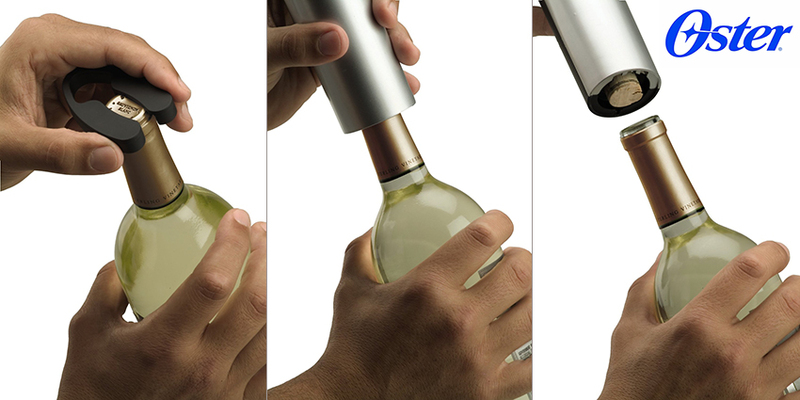 It has a built-in foil cutter and will open 30 or more bottles in a single charge. Rabbit Electra Corkscrew: The Electra pulls wine corks at the touch of a button and is effective on all cork types and bottle sizes. It features a recessed spiral that allows the device to be locked on to the bottle for ease of operation. The Rabbit Electra Corkscrew is three inches shorter than other comparable models, making it a more compact option than some competitor brands. It has a one year warranty and includes an AC charger and foil cutter. For your convenience, we have compiled a list of our favorite Metrokane Rabbit wine openers. In order to ensure that you are purchasing the best Rabbit wine opener for your needs, use the following list to guide your search. Rabbit wine openers have been available for several years and most consumers have positive things to say about the devices, especially regarding the ease and speed of use and the attractive design. Most reviews on a variety of websites give between four and five stars. Due to the huge line of wine openers that this brand has to offer, the price of Rabbit wine openers and corkscrews varies considerably. This means that there is a product that will allow you to open a bottle of wine quickly and easily at every budget. The biggest question is how much you are willing to spend on a high quality, warranty-backed corkscrew or wine opener. Rabbit wine openers are widely available and come with appropriate warranties. They are not the least expensive wine openers on the market, but they do have a reputation for being high quality products that last a long time. The majority of reviews are positive and extol the ease of use. They have an attractive design that will make a statement in any home and are frequently recommended as gifts. A Rabbit wine opener will make opening bottles easier and quicker, reducing the risk of breaking a cork or accidentally getting cork fragments into the wine. 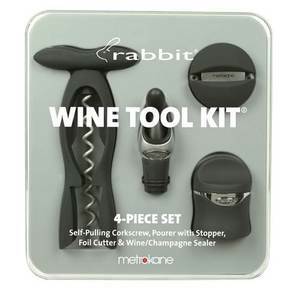 The benefits of Metrokane’s Rabbit wine openers truly outweigh the expense, making these tools great additions to supplement your wine collection. My wife received a Metrokane Vertical Rabbit wine opener for her birthday last year. We both love it. Seems well made, not plastic, looks nice and works great. Or it did. After a year, it doesn’t seem to open the bottles as easy, but it still does, but mainly, it will not eject the corks out. Could something have broken off on the inside. We looked, and it looks like their is a small piece of plastic on one side of the rim up above. Should that be going all the way around. Never paid any attention to it. But have recommended it to others, and just would like to know if we are not seeing something. 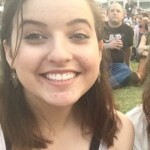 Thanks for your time and any help you can give us. My wife received a metrokane verical rabbit for her birthday last year. We both love it. But it does not want to eject the cork out anymore. Did something break off, or what else might be causing it not to work properly. We bought the Rabbit and it opened about 5 bottles, now it just pushes the cork into the bottle. Very frustrating. Waste of money. We opened a few bottles of wine with our new rabbit. Now the opener just won’t penetrate the cork more than a few centimeters. How do we fix? The automatic Electric Corkscrew works like magic! .. Until it breaks, for no reason! “For warranty information .. visit us at metrokane,com”. Good luck.